VIVE LE QUEBEC! 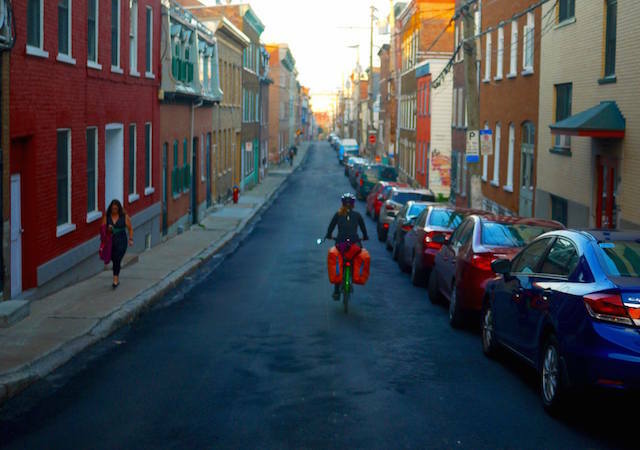 QUEBEC BY BICYCLE! 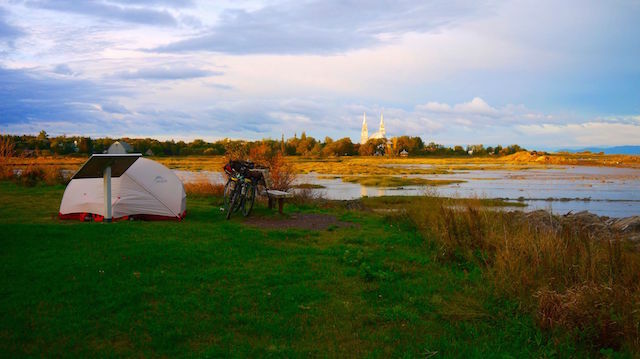 Michael’s write up of our time spent crossing Quebec by bicycle, during our 7000km cycle trip across Canada in Autumn 2016. 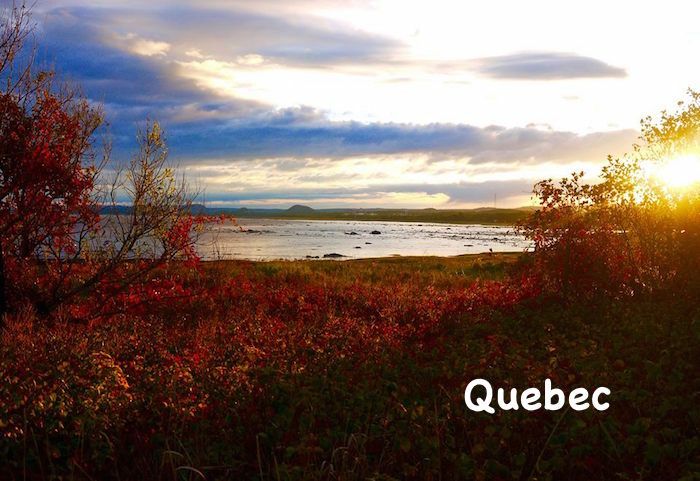 Click here to read Kelly’s write up of cycling in Quebec. VIVE LE QUEBEC! ROLLIN’ FREE LIKE A WHEEL OF CHEESE THROUGH A TASTY LITTLE SLICE OF EUROPE IN CANADA! Our introduction to this delicious, cycle friendly, French Canadian beauty was an easy 120km day that flew by like a breeze! 72km of which was on the Prescott Russell Recreational trail. Winding through forests and along old railway lines where we finally cracked the magical 5000km mark! 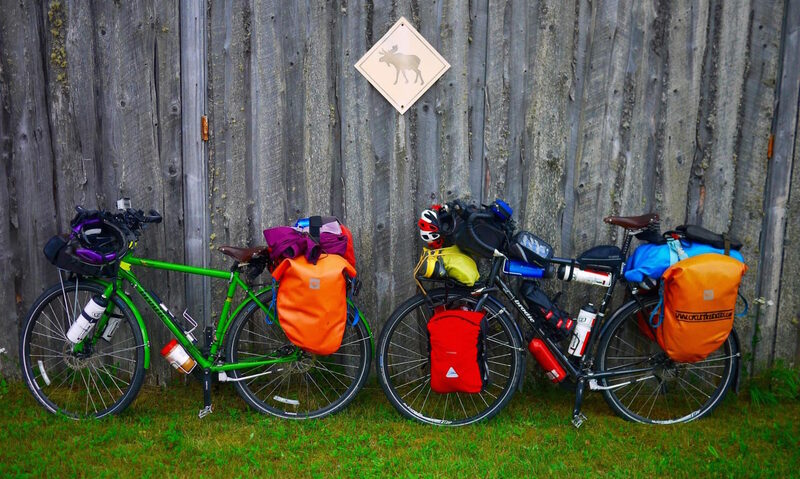 Every single Canadian cycle tourist we had met so far across Canada had been from Quebec. So we were pretty sure it was going to be a good place to be on a bike and we definitely weren’t disappointed! We had a few days off the bikes planned in Montreal where Kelly’s brother Michael was meeting us and had hooked us up with some free tickets to the Global Citizen festival that he was helping organize. So instead of being sweaty cycling bums living in a tent, we spent 4 nights camped out in an airB&B apartment drowning in beer and living like rock stars with VIP backstage tickets to a music festival and all the booze we could fit in our bodies! It was definitely a different experience and quite surreal being backstage at a fancy pants festival and after party, but it was nice to change it up a bit and break the routine of cycling. Also beer is pretty good stuff and tastes even better when free. After several days exploring Montreal and pretending we were back in Europe. Sipping espresso and munching fresh baked goods at patisseries. It was time to load our food bloated carcasses back onto the bikes! I was nursing a large hangover from the after party that we attended until 3am. We had to hit the road again at 9am, but my boozy blues were made more bearable by the scenery and excellent roads. Camping was occasionally tough as all space along the river to Quebec City seemed to be crammed pretty tight with homes on the waterfront, but we got creative sleeping behind a massive garden hedge on one night and outside a B&B on another slightly awkward occasion. The owner had approached us when he saw us eyeing up a nice juicy patch of grass outside the closed tourist info centre in a small town. He asked us in broken English if we wanted to stay at his house. Of course we did! Score! When we got back to his ‘house’ we realized it was actually a bed and breakfast and he was in fact trying to get us to stay inside as paying guests. Some awkwardness ensued as we spoke with his wife inside, but in the end they turned out to be cool and let us camp in the garden for free instead of paying to stay inside. We had another little break in Quebec City, staying with a Warmshowers host Maude in her apartment with a huge garden in the courtyard. Maude was an ‘urban gardener’ and had created a huge veggie garden in her courtyard. She also had other projects around town building gardens in office blocks and government buildings. We were happy because we got to munch fresh veg for a few days instead of instant noodles and pasta! 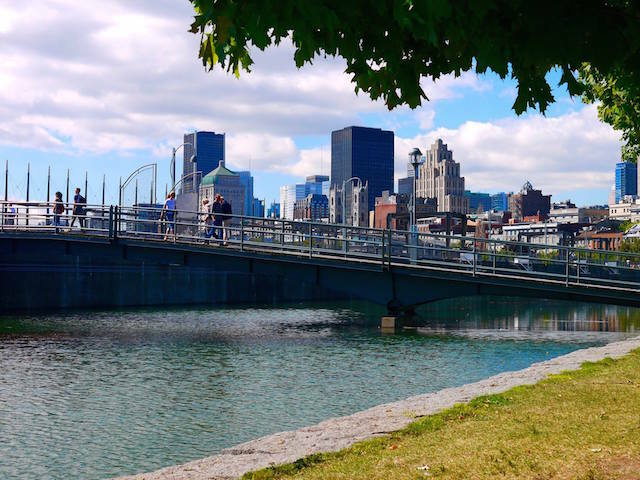 Quebec was a super touristy town, but it was a nice place to chill out for a couple of days and soak up some of the European vibes, and to relax in coffee shops before hitting the awesome cycle trails again. From Quebec City we opted to catch the ferry to the other side of the Saint Lawrence River and rode along the scenic trails whenever possible. Exploring Quebec by bicycle was what I had pictured cycle touring to be before our first trip from France to China a few years ago. Relaxed car free cycle routes winding through forests with free rest areas to camp. The Route Verte through Quebec was a definite highlight of our trip across Canada. It made the wet and cold weather a little more bearable, as we always knew we’d find a little picnic spot or even a designated cycle camping spot to pitch the tent at the end of the day. The temperature had suddenly dropped significantly as we were approaching the New Brunswick border and on our last night in Quebec we had by far the coldest night of the trip. We woke up to a tent covered in a thick sheet of ice and all our water bottles frozen solid. It wasn’t all doom and gloom though, we got to sleep next to an old world war II bomber in a park on the cycle route and had a fantastic sunrise to thaw out our gear and bone marrow! It was now time to tackle our seventh Canadian province, New Brunswick and try not to freeze our bits off on the bikes!! Vive Le Quebec, Vive le fromage and route verte cycle path!! I hope you enjoy Quebec by bicycle! If you’re geeky like Kelly, you can also check out our cycle stats for Canada.